Managing Director and Co-Founder, Andrew Connors, commented, “the appetite for and commitment to innovation by Asian banks means the Australian big four banks are being left behind. Major Asian banks like OCBC aren’t just kicking the tyres on new technologies that will advance their business, they are firmly focussed on having a first-mover advantage by utilising technology”. “We are still hopeful that early adopters of our technology will include an Australian bank or corporate partner of our home, the Stone & Chalk Fintech hub”. 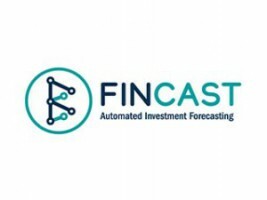 The pilot between FINCAST and OCBC coincides with the launch of FINCAST’s second application, their Financial Adviser Module, designed to equip Advisers with real time portfolio management and goal based advisory tools, enabling them to deliver better advice to more clients. FINCAST was born out of Connors’ funds management business, Quilla where he and his Co-Founder and wife, Chelsea Dunne, were consistently hearing common pain points from Financial Advisers. 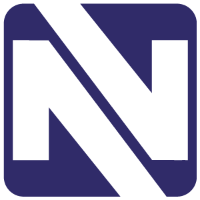 Chelsea commented, “time after time, we were hearing that they [Financial Advisers] need real time portfolio management and goal based advisory tools to use with their clients”. The Financial Adviser Module is complemented by FINCAST’s Model Portfolio Management Application which was released earlier this year. The application enables Advisers to easily design, build and manage their own tailored portfolios, utilising institutional grade forecasts and optimisation algorithms that adapt based on market conditions. FINCAST was one of only three companies selected by OCBC to complete a pilot program (see attached OCBC press release). Fincast was also one of eight organisations selected from a global search to participate in OCBC’s Inaugural Fintech Accelerator program in Singapore earlier this year. “We are delighted with the outcome of the OCBC Fintech Accelerator, having secured a pilot. It is a fantastic endorsement of our technology”, said Chelsea. After the OCBC program, Connors and Dunne will spilt their time between their core markets of Australia and Asia. They are looking to establish an office in Singapore by the end of this year as their SE Asian hub. 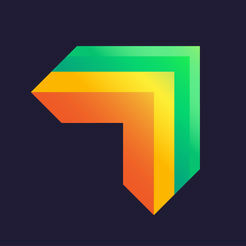 FINCAST is an Australian headquartered Fintech company that specialises in the adoption of artificial intelligence into portfolio & wealth management, specifically for use by financial advisers and institutional investors. The framework is designed to enhance your portfolio management capability, and our open architecture allows you to include as much or as little of your own ideas on investment research. We’ve utilised the latest technology to allow seamless integration with existing administration, reporting and CRM platforms – ensuring greater efficiency and reduced duplication across many platforms. Our applications regularly interrogate thousands of data points to provide wealth managers and financial advisers with robust guidance on optimal portfolio positioning, including forward looking stress testing and back-testing. It’s easy to use and can be utilised as an engagement tool with more sophisticated clients. Fincast’s integrated wealth management applications are designed to put the adviser at the centre of the financial advice process. We have a number of applications created to suit the requirements of advisers and their clients, these include a Model Portfolio Management module, our Relationship Manager module, for use in face-to-face or remote client discussions, or our Automated Advice module which helps wealth management groups expand their client base by servicing a younger or lower balance demographic.